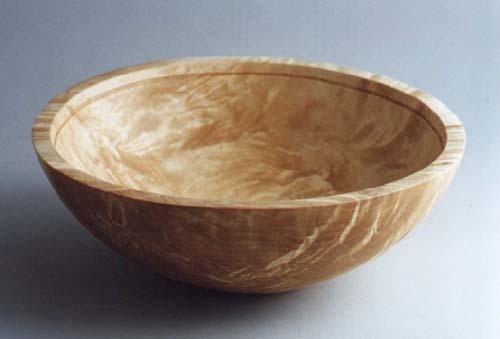 Just to prove that birch doesn't have to be bland I present this bowl. It was turned from stumpwood and proved to be quite spectacularly well-figured. Finish is with a homebrew walnut oil and beeswax concoction. This piece won a second place ribbon. Approximate size in inches: 5 X 11.